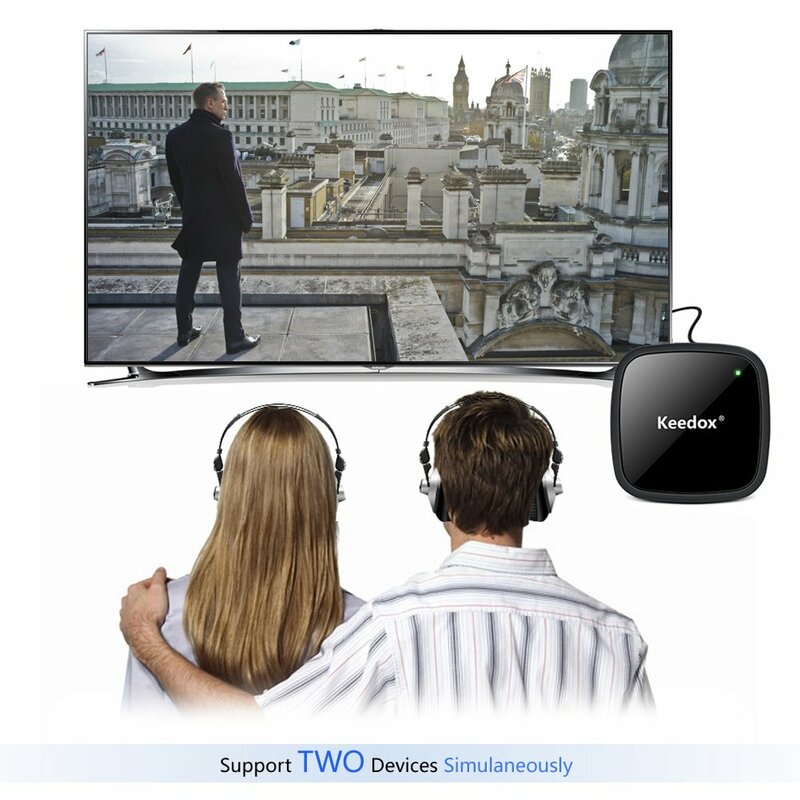 • UNIVERSAL COMPATIBILITY.Bluetooth 4.0 transmitter and receiver in one compact size.Easily and simple set-up.Wireless audio within seconds.Compatible with iPhone,iPhone 6s Plus,iPhone,Samsung and more. • EXCLUSIVE EXPERIENCE.We choose to includes a 3.5mm to RCA Cable,which it's a great convenience when you choose to connect your wired Stereo through RCA jacket instead of 3.5mm jacket.Best choice for your legacy speaker compatibility.Besides,we do some special enclosure coating process for a smoother tactility to offer your exclusive experience on our products. • LEADING BATTERY LIFE.With built-in 300mAh Li-battery,it offers up to 15 hours working hours with just a single full charge,giving your non-stop audio experience. • HIGH QUALITY MUSIC.Powered by industry leading CSR chipset.Provides top class performance for your wireless stereo speakers,gaming headset,wireless earbuds in bluetooth transmitter mode while home theater speakers,desktop speakers in bluetooth receiver mode.Technology likes aptx,HFP,A2DP,AVRCP is all supported to enhance your ultimate Bluetooth experience. • WARRANTY GUARANTEED. Enjoy our 12-month.